Fill a muffin tray with large muffin cases. Beat together the butter and sugar until light and fluffy and then add your flour, baking powder and salt until well mixed – the texture will be like that of fine breadcrumbs. In a jug or bowl, whisk your eggs, milk and vanilla essence and add this to your cake mixture until the batter is smooth. Fold in your chopped bananas. 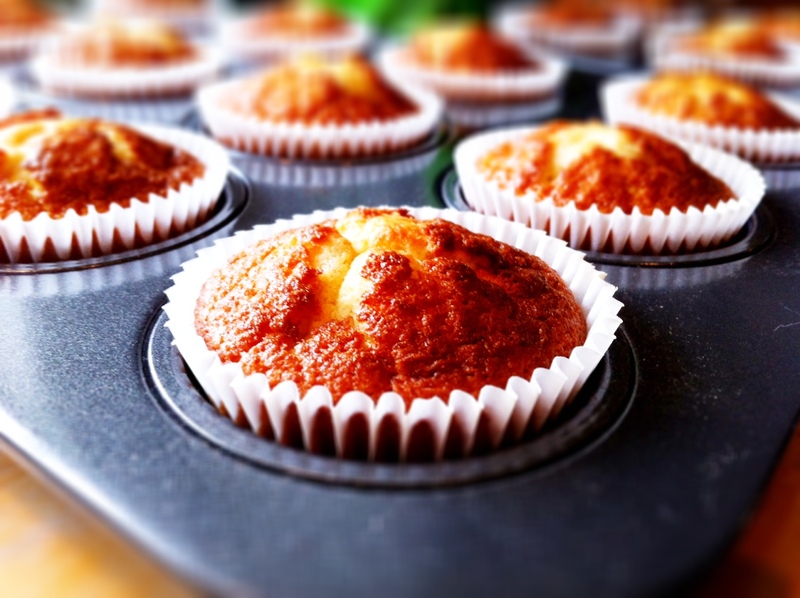 Fill each muffin case two-thirds full and bake the cupcakes for 18-20 minutes.